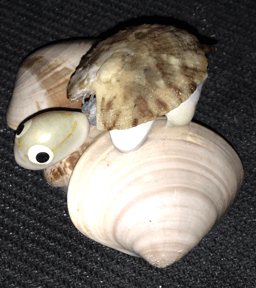 Bobble Head Turtle or tortoise made from sea shells. 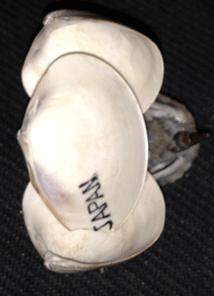 The bottom of the base shell on this piece has the word "Japan" stamped on it, and that base shell also has a chip on the side. 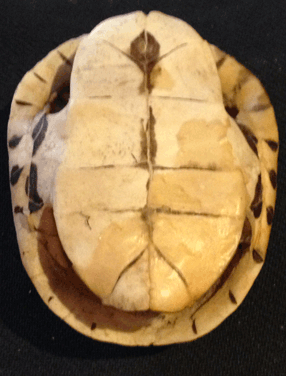 This doesn't show when the turtle is being exhibited. 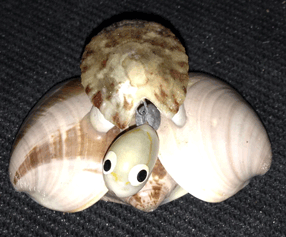 The head is attached to a small metal weight which allows it to bobble freely. The eyes are painted on with white and black paint. I'm guessing this little piece was probably purchased in Galveston, Texas, but I'm not for sure. It is over 30 years old. It's less than an inch high, 2 inches wide, and about 1.5 inches from head to tail. It weighs 0.4 oz. 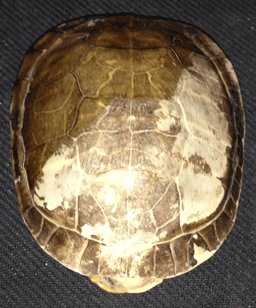 I have no information other than it is a real tortoise shell, The outer "skin" layer is very old, brittle, and damaged, and a lot of it has faded away over time, leaving a bleached looking white shell behind. 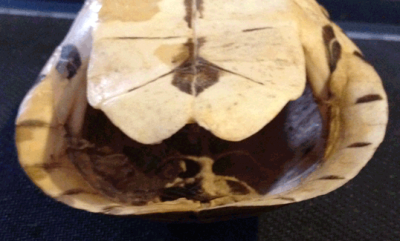 The backbone and ribs are still attached to the inside of the shell. 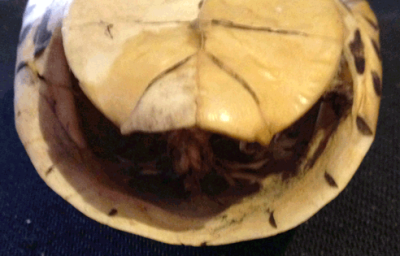 The shell is about 4.5 inches long, 3.5 inches wide and 1.5 inches deep. It weighs 1.4 oz. Please look at the pictures for more information. 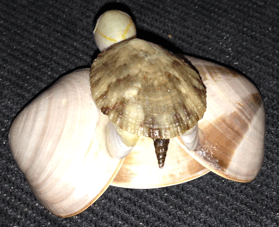 I believe the shell was found in Northern Kentucky. This item will not be shipped overseas. 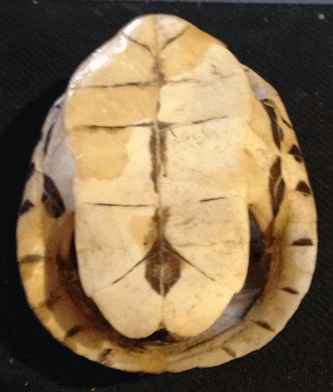 The shell itself is in good condition, and could probably be used by a taxidermist. 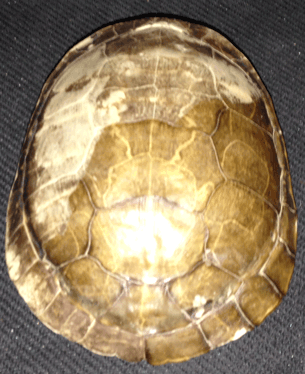 I have no idea what kind of tortoise it was, but the shell was found - the tortoise wasn't killed for the shell. 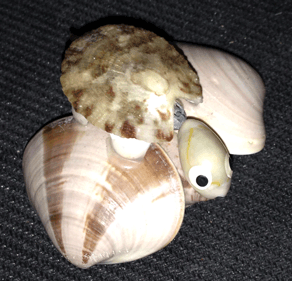 This shell has been in storage for over 30 years.